One of my brothers was telling me last week what he’d had for tea – Tuna steak with lentils and sweet potato wedges. I’m not keen on sweet potatoes but the Lentils sounded good so I asked for the recipe. 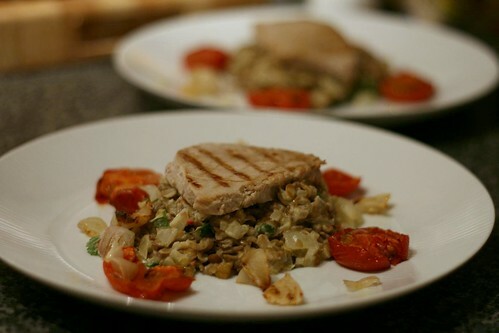 Your tuna dish sounds and looks scrummy – thanks for sharing with us! I love they way you presented the tuna with lentils. Great healthy meal idea!